Slowly does it as Norwood garage's RM 2043 passes its home garage whilst ascending Knights Hill in September 1986, a fair way still to go before it makes its destination of 'South Croydon Garage'. 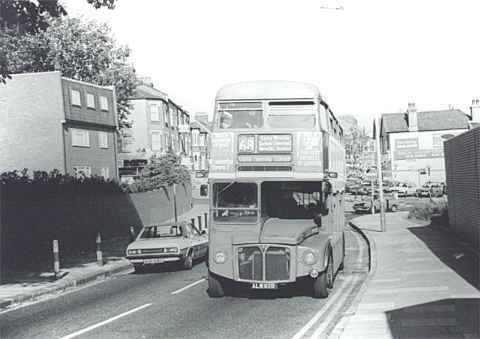 RMs are long-gone from the 68, and the route itself no longer reaches Croydon. 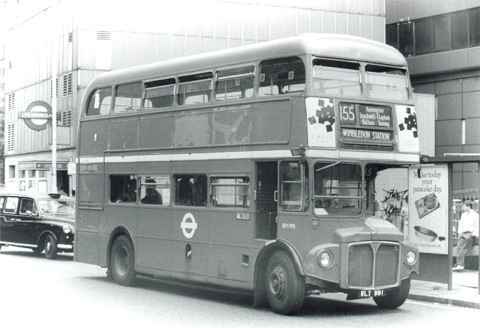 When I was writing the London column for 'Buses' magazine, I thought I'd put in an item about an incident when an RB-class Renault midibus from Bow garage lost a bolt from its bodywork whilst in service. Engineers had to find the bolt and relocate it before the vehicle could move again. '. The item was dumped between proof-reading and publication. Well no-one but me is editing this, so I'm saying it: no confession was, or is, intended - I am NOT the Routemaster's biggest fan. 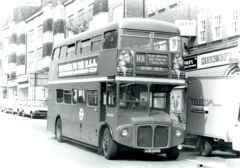 Additionally, it was occasionally suggested - cynically - that I had little or no interest in Routemasters. 'Oh, that Waterhouse - he prefers boxes, he likes dishes, he's the van man' and the like. Well, despite what I say above, that isn't the case. I had time enough for Routemasters - I had pictures of them published about as much as all other types. 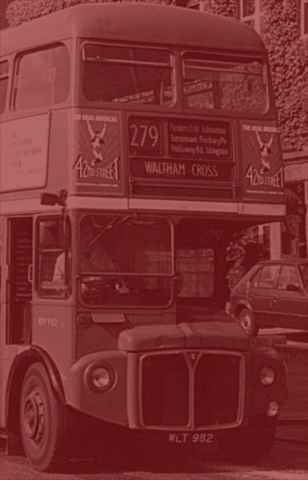 No-one could have imagined the Routemaster would make it to 1999 still in everyday service in the Capital, but they can still be found on routes 6, 7, 8, 9, 10, 11, 12, 13, 14, 15, 19, 22, 23, 36, 38, 73, 94, 98, 137 and 159 today. Testimony indeed to the standard of construction and reliability of the type - and, let's face it, when was the last time a bolt fell off a Routemaster, rendering it immobile? The selection on this part of the site is just a fraction of the Routemaster shots I have in my back-catalogue. Keep hitting this page and I'll put more on! Whether you love 'em or loathe 'em, enjoy. 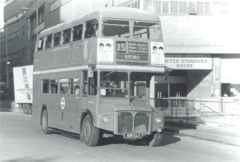 The 2B was the route to watch during 1988. 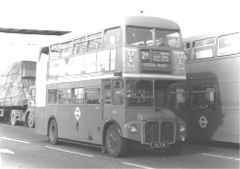 Although basically converted to RML, Norwood garage retained three RMs - and they weren't any old RMs. 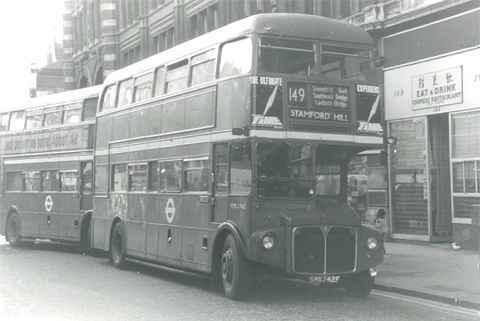 They were the oldest Routemaster to retain its own body after its last Aldenham Works overhaul, RM 6: the bus with body B5, the oldest production body, RM 47, which was maintained in near-original condition: and RM 2217, the last standard RM built. Here they are, photographed in February 1988. RM 6 is on Vauxhall Bridge, while RMs 47 and 2217 were photographed in Park Lane. 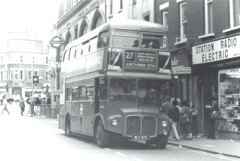 Question: what do routes 1 and 25 have in common? Answer: they both used to be RM operated, but are now worked under contract by Capital Citybus. The 1 converted to OPO in the Spring of 1987, at the same time ceasing to serve Marylebone, where RM 1401 is on its way to at Bricklayers Arms that April. 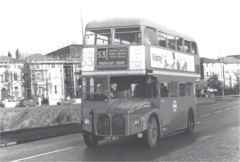 16th January 1988 was the date the 25 lost its RMs (with occasional RMLs too) and that meant the Routemaster was no longer to be seen in Essex. 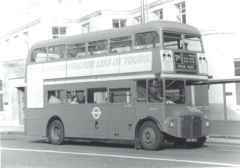 In the last week RM 1530 is seen at Aldgate, on its way to its County terminus. 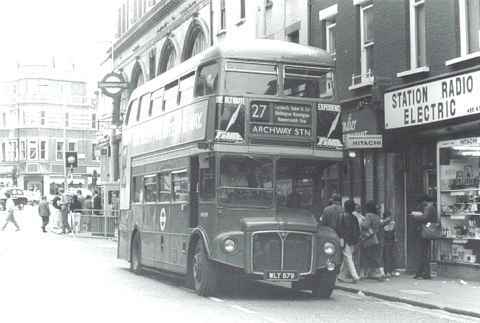 Route 27, which no longer gets as far as Archway, lost RMs from October 1986. 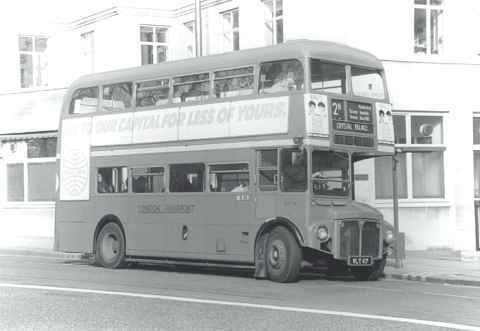 Leyland-engined RM 879 of Holloway garage, which was also one of the few to get a yellow relief band in connection with the short-lived route marketing experiment aimed at tourists, is seen at Camden Town that August. 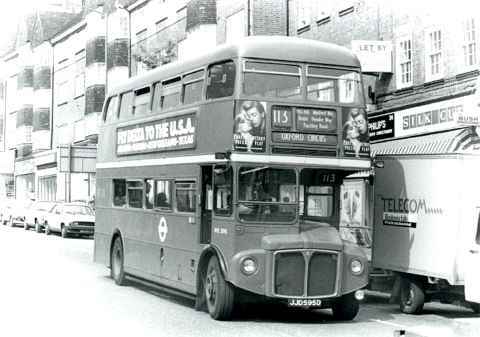 Another route to go over to OPO on 16th January 1988 was the 53 from Plumstead Common to Oxford Circus, and RM 1147 - complete with yellow band and promotional posters - is seen at Blackheath on the 14th. 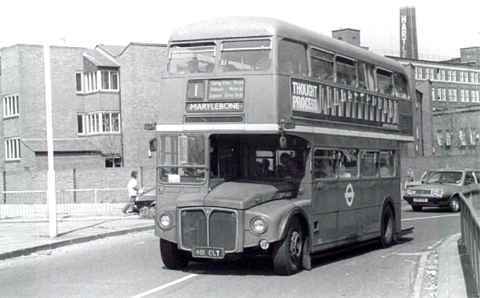 Route 113 is largely operated by single-deckers these days, but look what could be seen on it in 1986 - in the shape of the long-closed Hendon garage's RML 2595 at Hendon Central in July 1986. The 149 is better known for RCL operation more than RMs/RMLs: the RCLs came off in 1985, and the official allocation was RM, but here's Stamford Hill's RML 2742, at the time normally to be seen on the 253, in Bishopsgate on 20th December 1986. This route wasn't supposed to see any type of Routemaster at all! Before OPO conversion, the 155 was scheduled for crew DMSs from Merton garage. Here's RM 991, having strayed from its usual 49 route, at the Elephant in August 1986. If memory serves, I went there hoping to get an RM on the 171, but I got this one then ran out of film!